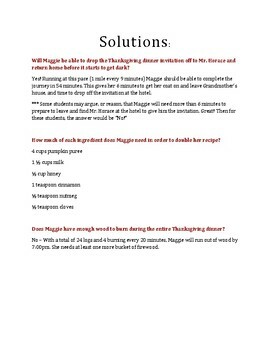 Here's an opportunity for children to work cooperatively through situated math problem-solving. 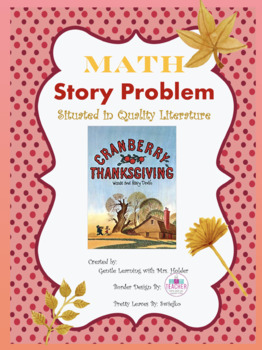 Based on the quality picture book, Cranberry Thanksgiving, students are invited to help Maggie prepare for Thanksgiving dinner by doubling a pumpkin pie recipe, deciding whether or not she has gathered enough wood to burn throughout Thanksgiving dinner, and determining if she has enough time before it gets dark to deliver Mr. Horace's invitation! *** Great for multi-grade groupings to work cooperatively (Grades 2-6).